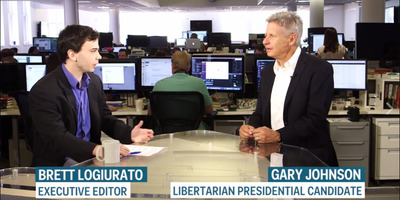 Business InsiderBusiness Insider’s Executive Editor Brett LoGiurato and Gary Johnson. 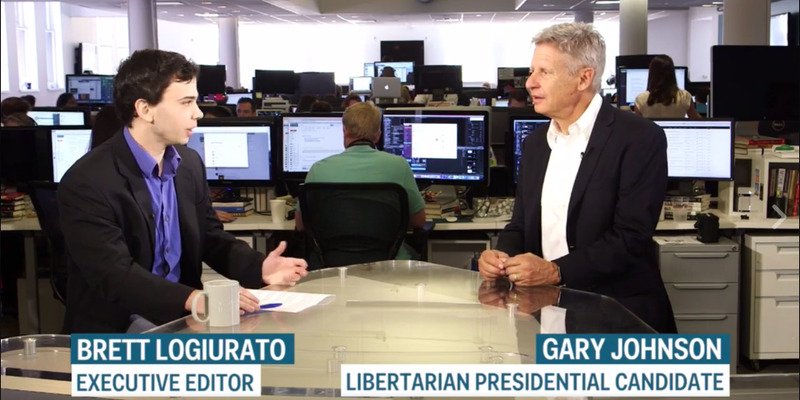 Libertarian presidential nominee Gary Johnson thinks he can pick up a good amount of Bernie Sanders supporters — because he agrees with the Vermont senator on many issues. Much of the political conventional wisdom assumes that Johnson, the former Republican governor of New Mexico, will siphon votes from presumptive Republican nominee Donald Trump. But Johnson told Business Insider in an interview last week that the candidate he most aligns with after himself, based on an online test he took, is actually Sanders. He added, however, that his positions on abortion rights, marriage equality, the legalization of marijuana, and his acknowledgement of “crony capitalism” are all in line with Sanders’ positions. “Government can provide a level playing field for everyone,” he said. But he added that it’s unlikely he is able to bring Sanders on to his campaign once the Democratic presidential hopeful ends his campaign, which Sanders has inched toward in recent days. “I’d love to have Bernie supporters take a look at me and from an objective standpoint,” he continued. The former two-term governor of New Mexico, who made a bid for the presidency as the Libertarian nominee in 2012, is polling at 9% against Donald Trump and Hillary Clinton, the presumptive Republican and Democratic nominees, in the RealClearPolitics average of several polls. In a recent Fox News poll, Johnson garnered as high as 12% of the vote in a three-way race. If Johnson can break 15% in enough polls ahead of the fall, he can make his way onto the stage in the general-election debates.